Graham Gage is a private investigator. Based out of San Francisco, Gage is a very successful private investigator. He has his own extremely capable agency with a good number of people that are not only very adept at their jobs but also enjoy doing it and doing it for Gage. Furthermore, he is very much respected in his field and in his community and in many far-reaching corners of the political and financial worlds. It is not by handling keyhole peeking or wayward spouse following or deadbeat dad finding that Gage has reached the level of success that he enjoys. He could certainly do those tasks as he is highly skilled at surveillance, monitoring and locating but he has for most of his nearly thirty years as a private detective dealt a lot higher up the food chain. His is the agency that high priced law firms call when a merger is being considered and one side is worried about the other. His is the firm that a government might call upon to secretly vet a potential nominee before an appointment is made public. His is the company that multi-billion dollar banks look to when a billion dollars has gone missing and they would much enjoy knowing who might have taken it. Now well into his late 50s or early 60s, Gage is still in very good shape to take on these cases though he is not hesitant to let his younger agents handle a lot of the more physical activity. There is no ego to be bruised with Gage as he knows he can still do a lot of it and he knows that he has done it for almost three decades. His goal is winning and if that means putting someone else in the game for a while, he would do it. This is welcome news to his wife of many, many years, Faith, for she has known too many occasions where Gage has been at the forefront of trouble and has had to call home ahead of time to let her know he could use some mending. A noted archaeologist and teacher, she has her own life but is well versed in applying the liniment as needed. Gage hails from southern Arizona but moved to the city on the Bay to become a cop. He knew starting out that it was going to be a stepping stone for other work but while he wore the uniform, he gave it his all and has many close friends still on the Force as a result. But his ultimate goal of his own business told him when it was time to hand in the shield and to put on the gumshoes. His headquarters might be in San Francisco but his territory is worldwide. High-power attorney Jack Burch is shot and nearly killed. As he lies in a coma, his career takes a nosedive as allegations of international illegalities are made. His best friend, Graham Gage, decides to get to the truth, fighting enemies from a lot of directions. The Federal Reserve Chairman suspects that the death of an FBI agent and a Muslim econimist are related and signal a major plot underway. 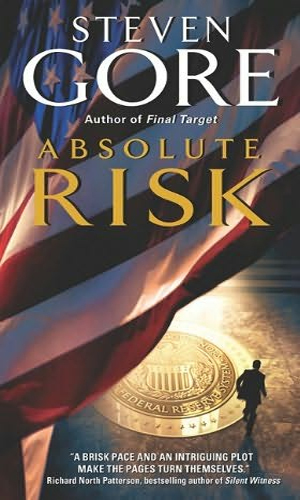 He employs Graham Gage to investigate, a case that will take Gage to New York and D.C. and even abroad as the Chinese and Arabs are as involved as some shady Americans. 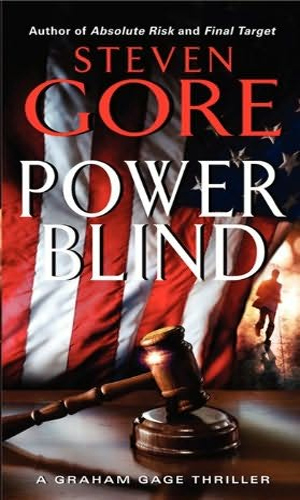 A Senator and leading presidential candidate and his brother, a federal judge, are the powers behind a plot that sees a fix-it man gunned down. The victim turns to Graham Gage for help but dies before he can tell what he knows. Gage is intrigued. There are a bunch of things to like about the Graham Gage series. Topping my list is the writing which is fast-paced, well-delivered, and a blast to read. 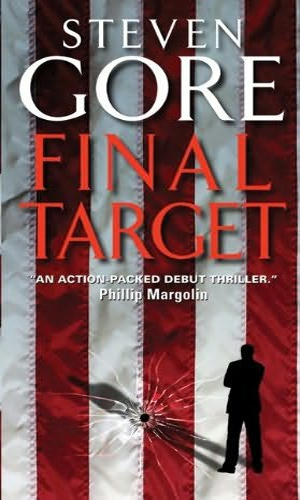 Mr. Gore is very, very good at his craft and makes reading the stories so easy and compelling that when you take a break, you are stunned so many pages have gone by you. That is skill at work. Then comes the character himself. Gage is extremely good at what he does and that is always fun but he is not perfect and that makes easily believable. He has been doing it for a lot of years so it makes sense that he is so adept. And the author was kind enough to make him successful at it. No dingy one-room door-paint-peeling cubby hole for this shamus. He runs his own agency with highly qualified people who enjoy their work, are good at it, and truly like and respect him. And Gage is interesting. He has a moderately varied career path from cop to PI but the numerous references to international activities on behalf of governments let you know he has a much-storied history. What really appeals in this regard is that the author does not hit you over the head with these tidbits but let them drop here and there in casual, believable conversations. I'm paraphrasing here but there is likely to be something along the order of "well, at least it's better than it was in Prague three years ago." This lets you know something interesting happened there but then moves on with the original story. That is good storytelling. On to Gage's personal life. He is happily married and has been for some time. His wife is extremely talented and respected and successful in her own line of work completely unconnected to his. They are deeply in love and more importantly perhaps, they really like and respect each other. Lastly as my fingers are tiring, there are the plots of the books. These are very well thought out and intricate enough to be interesting and challenging. There are usually several different sides at play, each naturally with its own agenda, and following a thread can sometimes leave the characters dangling, having to go backwards but over time you see how they are all weaved together to make sense. So all these factors combine to make a darn enjoyable series. Well done, Mr. Gore.